Set in the heart of Portland’s massive Washington Park is the Oregon Zoo. 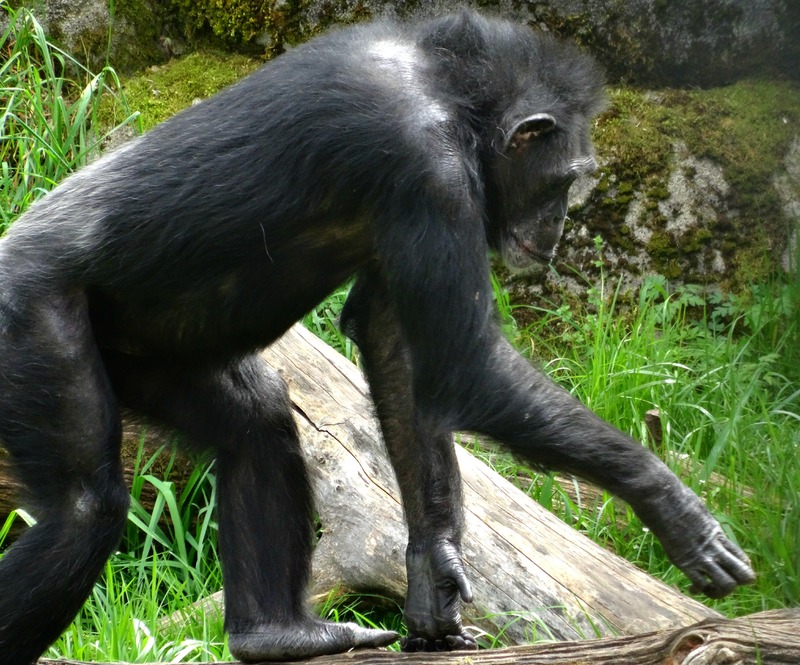 The Oregon Zoo opened in 1888 under the name Washington Park Zoo after an animal collector donated his animals to the City of Portland, but it has seen many changes since that time from changes to location within the park to various names. The Zoo now covers 64 acres and is home to almost 2000 animals representing over 200 species many of which are endangered species. The Oregon Zoo is one of the most popular attractions in Oregon and a leader in wildlife conservation and sustainability. The Oregon Zoo is big on sustainability, especially with recent work that has been done to create their Veterinary Medical Center, but is seen and accomplished throughout the zoo from food to exhibits. In 2011 the Zoo began saving over 12 million gallons of water every water – which is an astounding feat – through a variety of new processes. 30,000 gallons of water was saved by collecting rain water coming off the new Veterinary Medical Center’s roof and held in a large water silo. 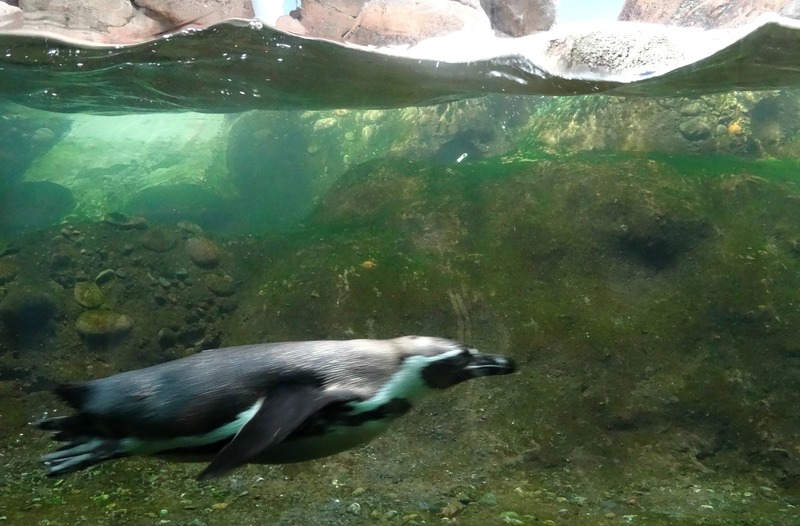 Another 7 million gallons alone were saved by installing a reverse osmosis/sand filtration system in the Penguin exhibit that brought its water use down to an amazing 225,000 gallons a year. Solid waste at the Zoo has also dropped by encouraging visiting school groups to pack low-waste lunches (lunches with little to no packaging or waste) as well as by composting which has helped reduce their food waste by 80%. The Oregon Zoo’s motto is “local zoo, global impact” which is evident in their vast conservation projects. Working with partners in conservation the Zoo helps work to recover endangered species around the globe like Canadian polar bears and Bornean orangutans to local and native species like the California condor and various butterfly species. What are some of the awesome animals you’ll meet at the Oregon Zoo? California condors to chimpanzees. Black rhinos to black howler monkeys. Malayan sun bears to Amur leopards. From big to small they’ve got it all! I was absolutely blown away with my visit to the Oregon Zoo, from their immersive and impressive exhibits to their amazing ability to establish an entertaining and informative zoo for adults and children alike and their dedicated work to help save endangered species from near and far to reducing their footprint along the way, the Oregon Zoo is by far one of the best zoos I’ve visited. 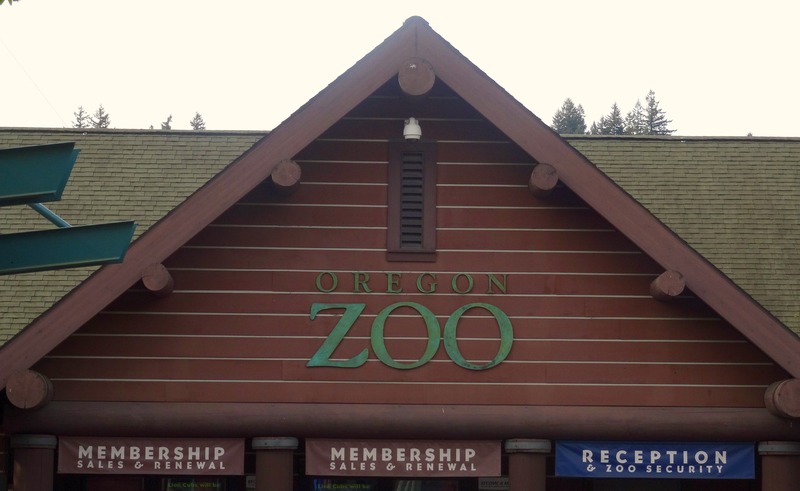 Have you visited the Oregon Zoo? It’s wonderful that they’ve changed their procedures to save so much water, and they’re encouraging kids to bring their own, low-waste lunches. I hate places where you can’t bring your own food, and what you buy is served in styrofoam. Thanks for sharing the info!